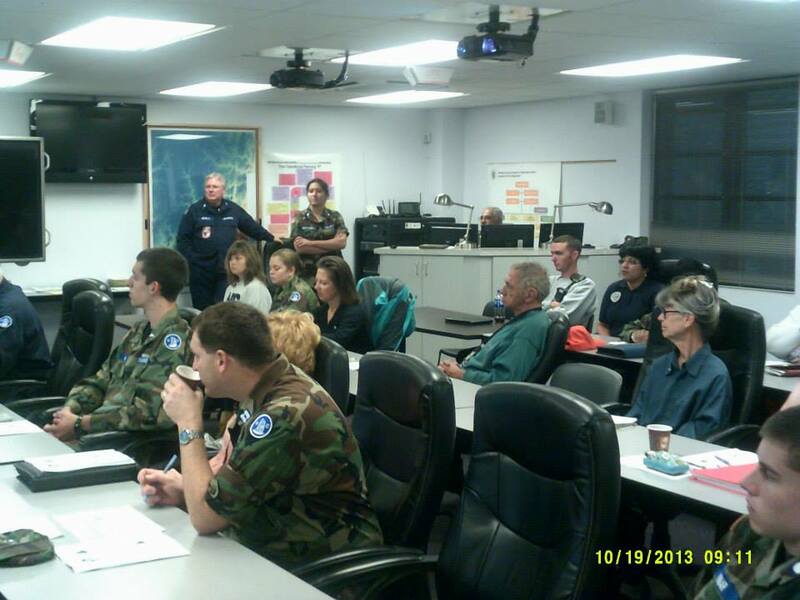 10/31/2013–Hillsborough, NC– On October 19, 2013 the North Carolina Wing of the U.S. Civil Air Patrol held an all-day disaster relief training session. This training session was for "Points of Distribution" (PODs), which is an operational program under the disaster relief component of CAP Emergency Services, Disaster Relief., and was instructed by Lt Col Donald Beckett, Maj Peter Bohler, Col Roy Douglass, Capt Pete Wehr, and Cadet 2nd Lt Latofat Mirzakhmedova. PODs are self-contained distribution points of emergency relief supplies such as water, food, ice, tarps, and other life-sustaining commodities to the general public following a significant disaster event. The training consisted of morning classroom instruction, followed by an afternoon of practical, hands-on exercises. The students learned what PODs are, how to set them up, run them, and break them down when they are no longer needed to serve the community. This and related training is open to all community members who are interested in volunteering to serve their community. In attendance were members of Civil Air Patrol NC Wing, CAP Orange County Composite Squadron, Emergency Services, CERT, and other community volunteers.